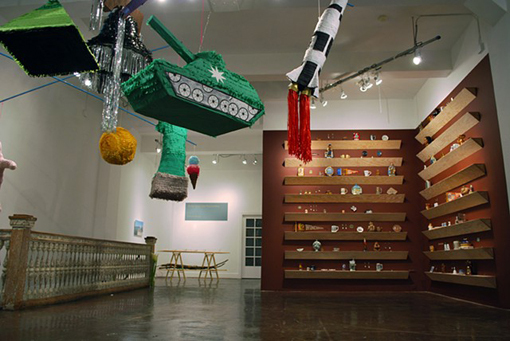 Michael Arcega is an interdisciplinary artist working primarily in sculpture and installation. Though visual, his art revolves largely around language. Directly informed by Historic events, material significance, and the format of corny jokes, his subject matter deals with sociopolitical circumstances where power relations are unbalanced. Michael has a BFA from the San Francisco Art Institute and an MFA from Stanford University. His work has been exhibited at venues including the deYoung Museum, Yerba Buena Center for the Arts, Museum of Contemporary Art in San Diego, Orange County Museum of Art, Contemporary Museum in Honolulu, Museum of Fine Arts in Houston, Cue Arts Foundation, and Asia Society in NY. He was recently awarded a 2012 Guggenheim Fellowship in Fine Arts.